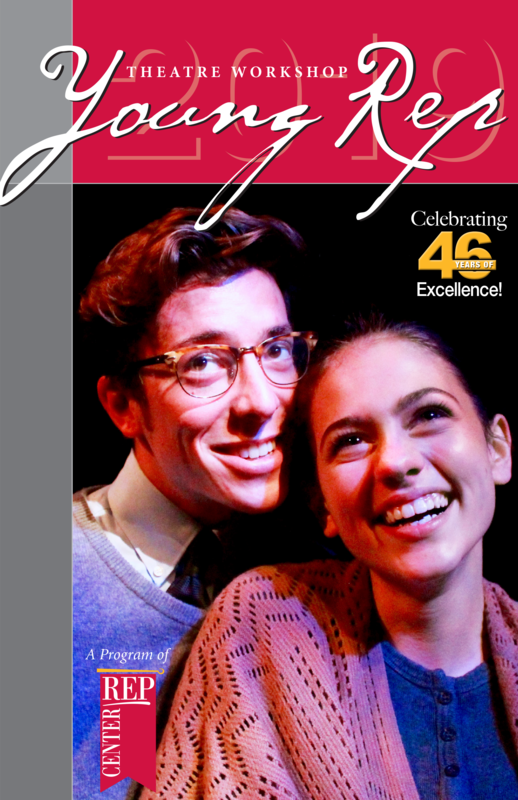 The Young REPertory Theatre Workshop, will be celebrating its 46th year in 2019 and continues to train and develop students interested in the theatre arts as a vocation. Our program offers a Morning Program, as well as optional Performance Workshops (Musical Theatre and Advanced Acting) in the afternoon and a script writing workshop on Tuesday and Thursday evenings. Students may participate in one, some or all of our programs! The 2019 Young REP program will run from June 17 - August 1, 2019. Well-known as a professional training ground Young REP teaches the discipline, concentration and skill necessary to all areas of theatre. Students will have the opportunity to explore and grow as individuals and ensemble performers. Class exercises and projects will focus on the assessment and effective use of the actor’s basic skills in voice, movement and characterization. The workshop will culminate in a week long Festival of Showcases the final week in July on the stages at the Lesher Center for the Arts. These wonderful showcase performances will celebrate the creative spirit and skills which have been learned in the various parts of our program. Admission is based on the application and audition-interview. Auditions for the 2019 program begin February 23 and will continue into April, as space is available. Call (925) 295-1400 to schedule your audition/interview. Audition/interview requires a memorized monologue, 1-2 minutes in length from a published play reflecting careful preparation, imagination and honesty. Information regarding partial scholarship is available at the audition upon request. "Every year I participate in this program I become a part of something that doesn't exist anywhere else. I learn something new and invaluable as an actor and as a human being. I find truth and inspiration in Young REP. I am beyond prepared for college and can't express the amount of gratitude I owe to this program!"